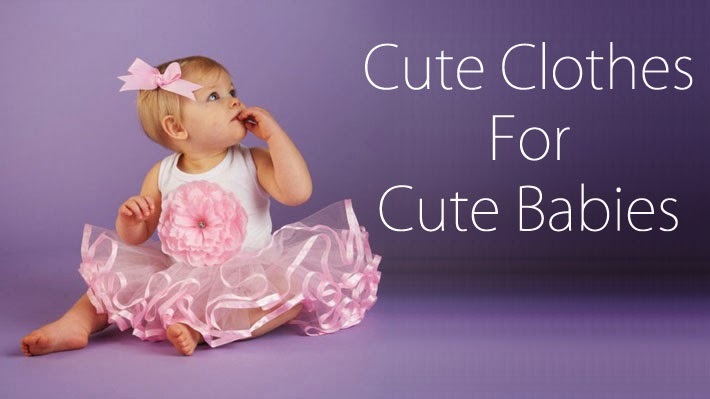 Here is a list of cute baby clothes for your newborn or for gifting. All these clothes come with super cool discounts to help you save while you shop. With clothes as cute and prices as cool, it would be quiet a challenge to stop at one. 6 Month 5-Pack Sleeveless Bodysuits Color. Value pack for your little angel.5 body suits in different colors and cute prints. 100% cotton, gentle feel cloth. Baby Girl (NB-24M) Carter's Happy Sailing 3pc. Set 6 Months, Navy. This adorable 3 piece set includes a navy blue navy suit with a cute pink bow that adds cute girly flare, a sweet anchor print top with smocking detail and a pink diaper cover. 100% cotton, gentle feel cloth. 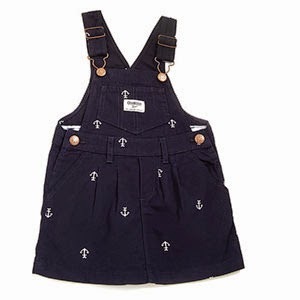 Toddler Girl OshKoshB'Gosh Anchor Print Jumper 2T, Navy. Taking your little girl out? Here’s a super cool jumper with adjustable straps, back and front pockets and sweet anchor print. 100% cotton, gentle feel cloth. 3 Month Jersey Puppy Print Romper Color. 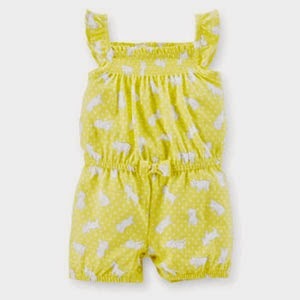 Make your doll summer ready with this adorable sunshine yellow puppy print romper. Baby Girl (3-9M) American Princess Dress-Pink 9 Months, Candlelight Pink. As pink and pretty as can be. Embroidered flowers. 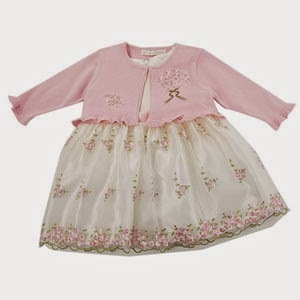 The pink cardigan adds a sweet allure to the adorable dress. Dress: 100% Polyester. Sweater: 55% Cotton, 45% Acrylic. 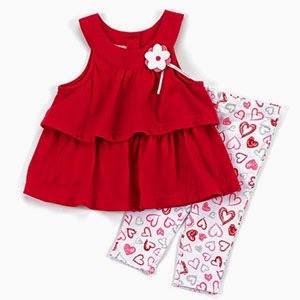 This pretty set includes cute red top with heart print pants. Top: 60% Cotton, 40% Polyester. Bottoms: 58% Cotton, 38% Polyester, 4% Spandex.